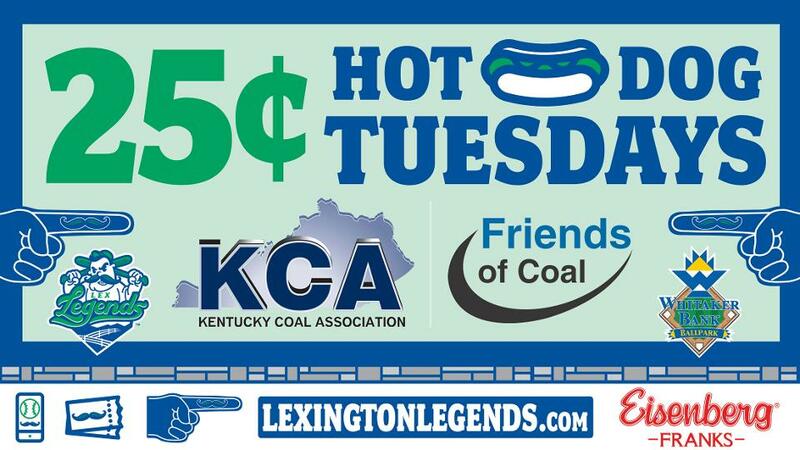 WHITAKER BANK BALLPARK (Lexington, KY) - The Legends are proud to announce that 25¢ Hot Dog Tuesdays are back for the 2019 season, with a new sponsor; Kentucky Coal Association. "The Legends are thrilled to continue this tradition." says Legends President/CEO, Andy Shea. "Hot Dogs are a baseball staple and being able to provide this opportunity with our longtime partner, Kentucky Coal Association, makes it even better." In addition to ticket prices, 25¢ Hot Dog Tuesdays only further the affordable, family, fun atmosphere at Whitaker Bank Ballpark. With eight Tuesday home games scheduled (7:05pm) for the 2019 season, there are many opportunities to partake. Kentucky Coal Association President, Tyler White feels that this partnership is a perfect fit. "Just like hot dogs fuel fans at the Lexington Legends, Coal fuels Kentucky with 80% of our energy. Every time you turn on the light or use your phone remember it is powered by coal." Fans can expect to find the Eisenberg brand 25¢ Hot Dogs in multiple locations throughout Whitaker Bank Ballpark, including both main concession stands and Big L's Gourmet Dogs. 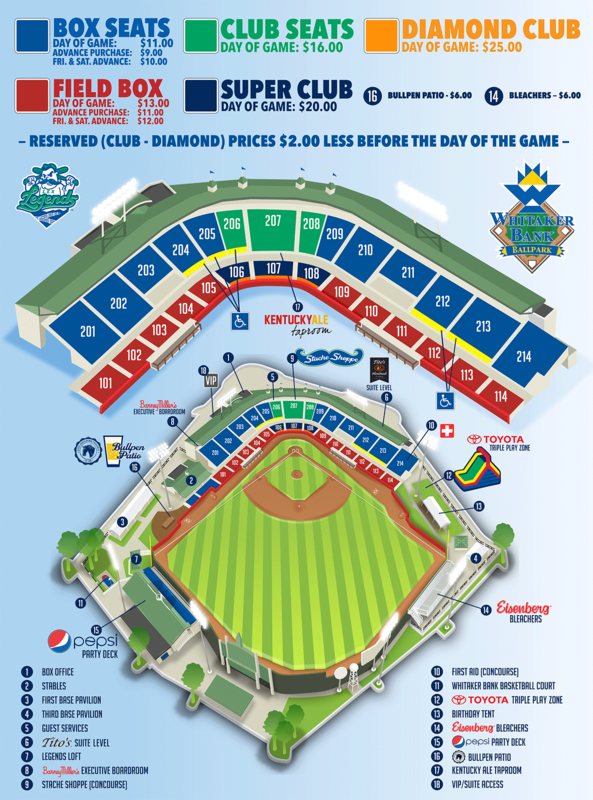 The Legends, a Class A affiliate of the Kansas City Royals and member of the South Atlantic League, play all home games at Whitaker Bank Ballpark in Lexington, Kentucky. The Legends are the defending South Atlantic League Champions, winning the SAL in 2001 and 2018.